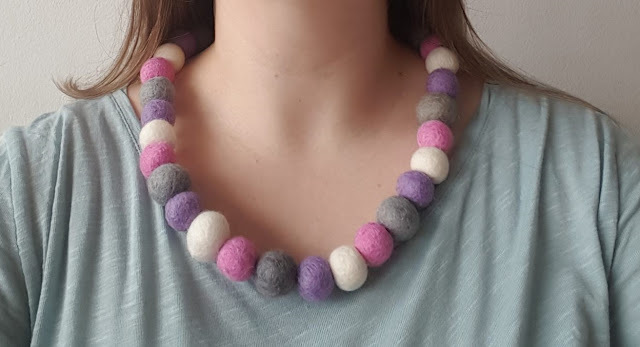 Generation to Generation - Made by Kym: Felt Ball Jewellery Art! 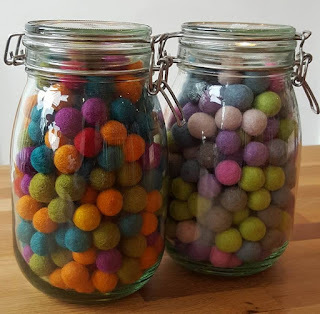 These felt balls look so cute in the shop, like sweeties in jars!!! Perfect for making a bracelet or necklace. I find a quick craft that can be done in front of the TV with a nice cup of tea extremely relaxing after a long day at work. 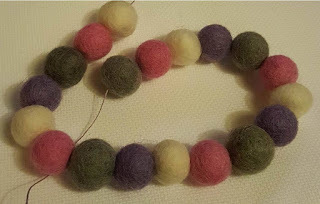 For my necklace I used 32 2mm felt balls (8 of each colour) but you could use any combination of as many balls as you like to create different lengths and designs of necklace or bracelet. I chose this number as I can comfortably slip the finished necklace over my head without undoing the knot. 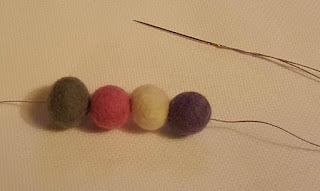 The cord I used is a waxed cotton thread which is nice and strong. 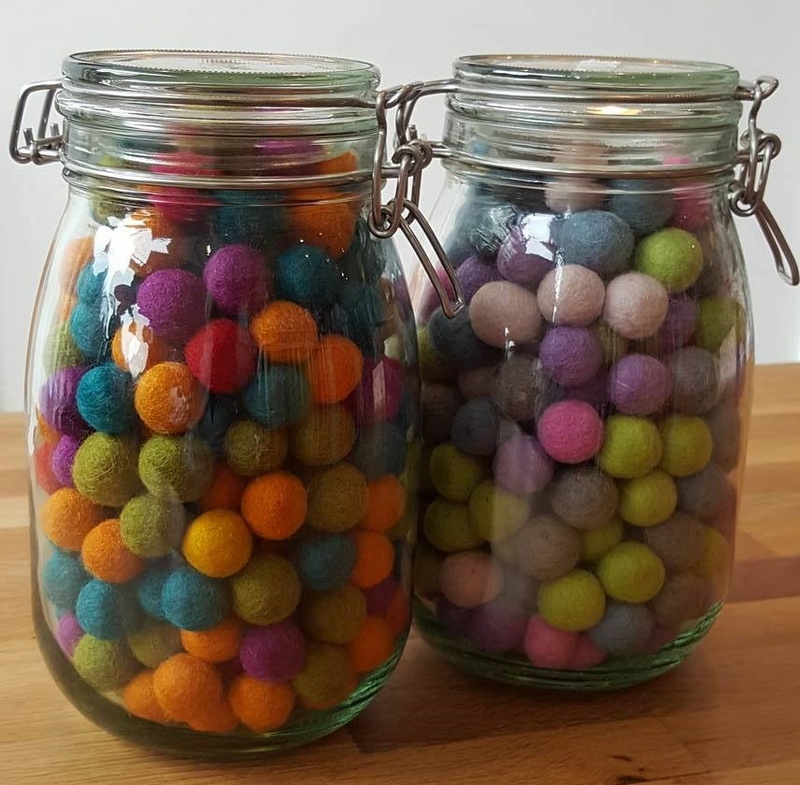 You can find this in lots of colours so you can match it to the theme of the felt. 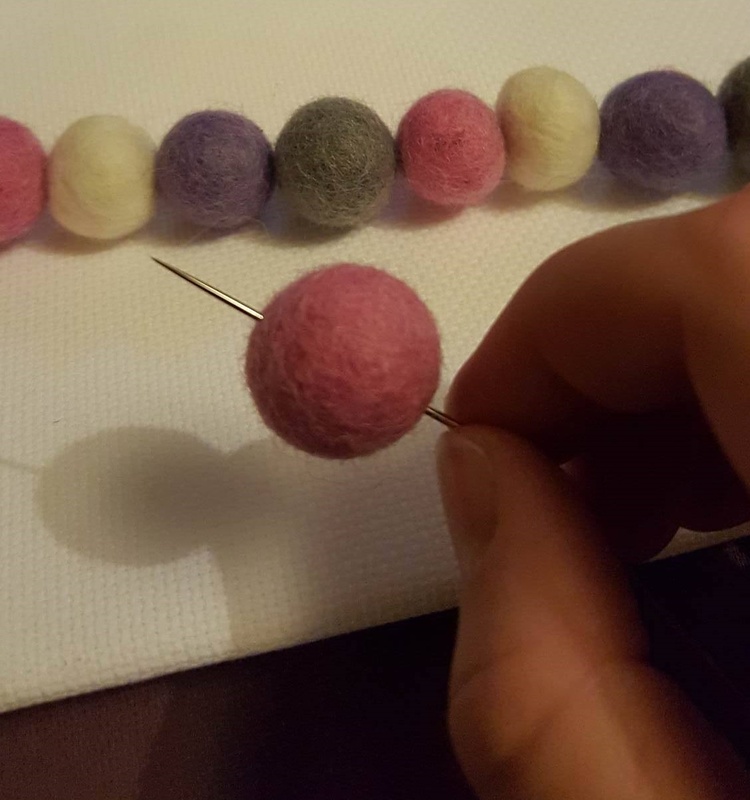 When threading the necklace/bracelet ensure you are pushing the needle through the very centre of each ball so an even finish is created. 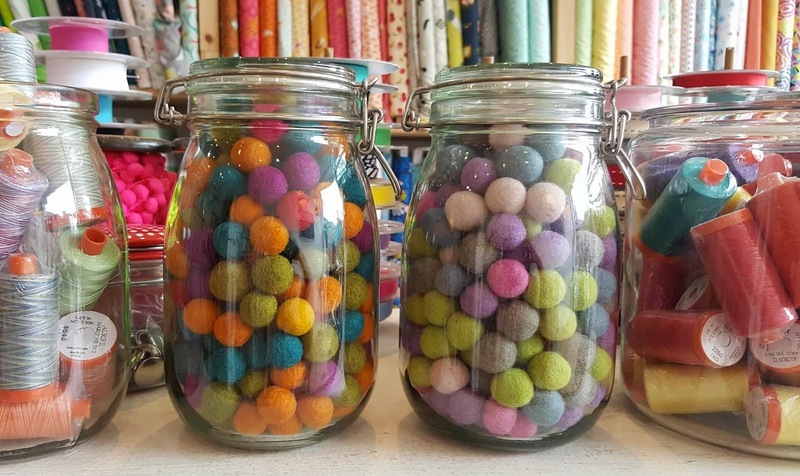 Enjoy watching your item grow…. I finished off by simply tying a knot close to the last ball on each end and then tying the two ends into a reef knot. And Voila! 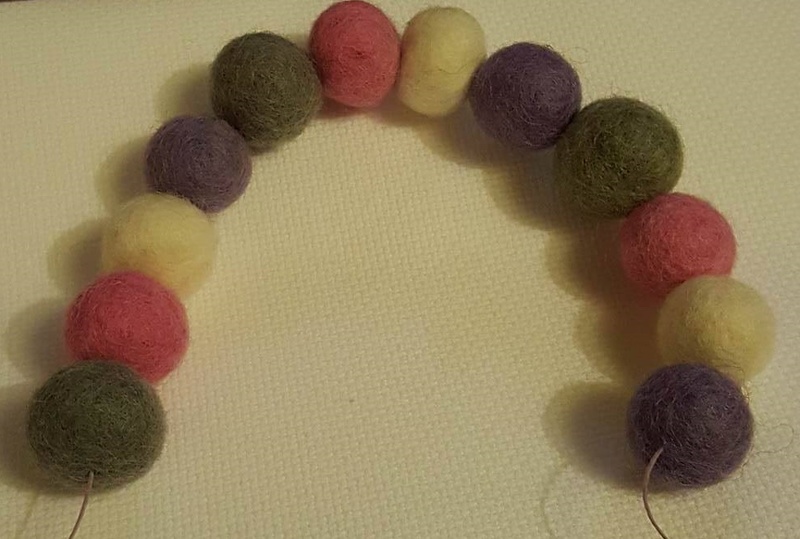 A new piece of jewellery! Fabulous! 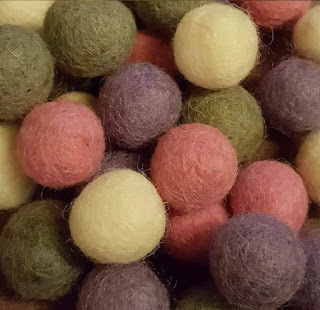 A great selection of felt balls can be purchased at www.thevillagehaberdashery.co.uk !! !